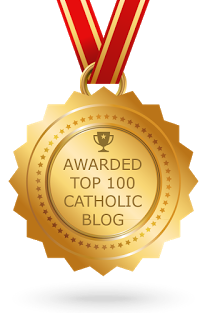 According to the Catholic Culture website, Fr. 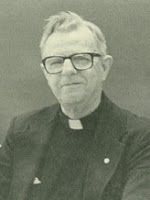 William G. Most was "one of the most distinguished Catholic teachers, theologians and Scripture scholars of our time. His long teaching career, extending well over 50 years, was marked by unswerving fidelity to the Magisterium of the Church, theological brilliance, and an ability to communicate clearly to layman and professional alike." At Catholic Culture, you can read all of Most's theological works (more than 230). This is an amazing service, but, if you are only interested in his commentary on Scripture, you'll have to do some wading through this vast collection in order to find what you are looking for. Since truly orthodox Catholic commentary on Scripture is difficult to find online, I felt it would be most beneficial to pull from the Most Theological Collection all of the Scripture commentary that he has written and organize it in canonical order. That's what I have done here. Note that if an individual book is not hyperlinked, this is because a commentary was not devoted solely to this book. Instead, you can read a summary of the book in the section heading, which is hyperlinked. For example, there is no commentary for the letter of James, but if you click on "Catholic Epistles and Revelation" you can read a few paragraphs on that letter. *For commentary on Amos, Hosea, Isaiah, Micah, Nahum, Jeremiah, Zephaniah, Habakkuk, and Jonah see also Pre-exilic Prophets. For commentary on Ezekiel, Obadiah, Haggai, Zechariah, Joel, and Malachai see also Exilic and Post-exilic Prophets.